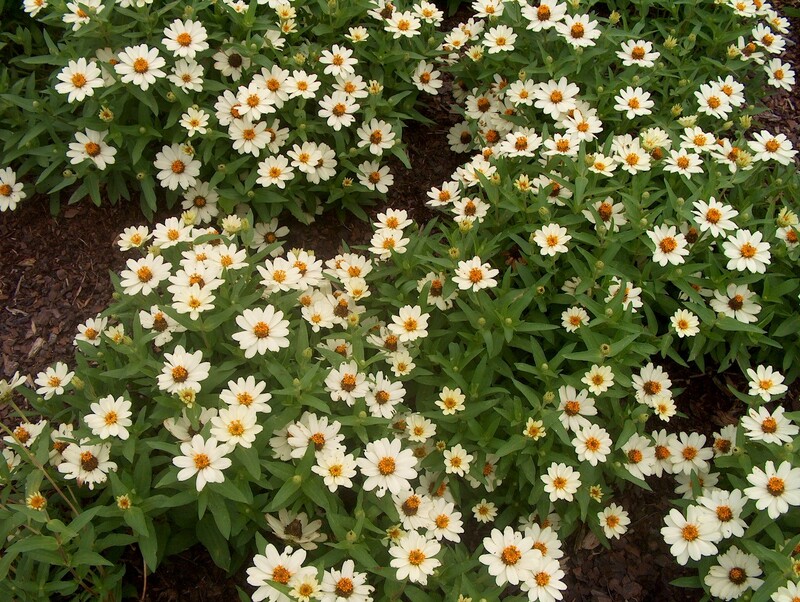 Comments: This is a selection in the special zinnia series that produces white flowers from early summer until the first frost in late autumn. Provide zinnias with full sunlight and a well drained soil, preferably in a raised bed to insure proper drainage. This plant makes a wide spreading sprawling plant if allowed to grow over a long period. Dead heading zinnias will encourage renewed flowering.